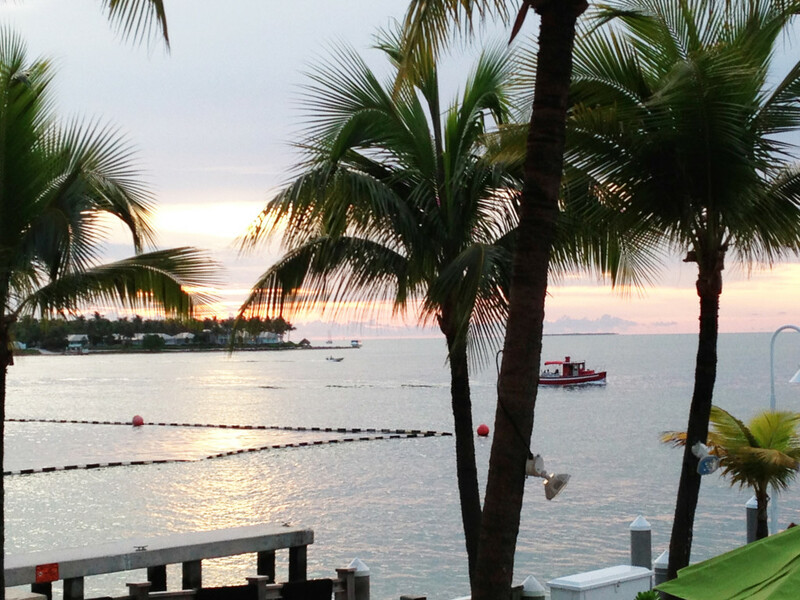 Disclosure: We received a complimentary two night stay at the Hyatt Key West Resort and Spa. However all opinions are sincere and are my own. 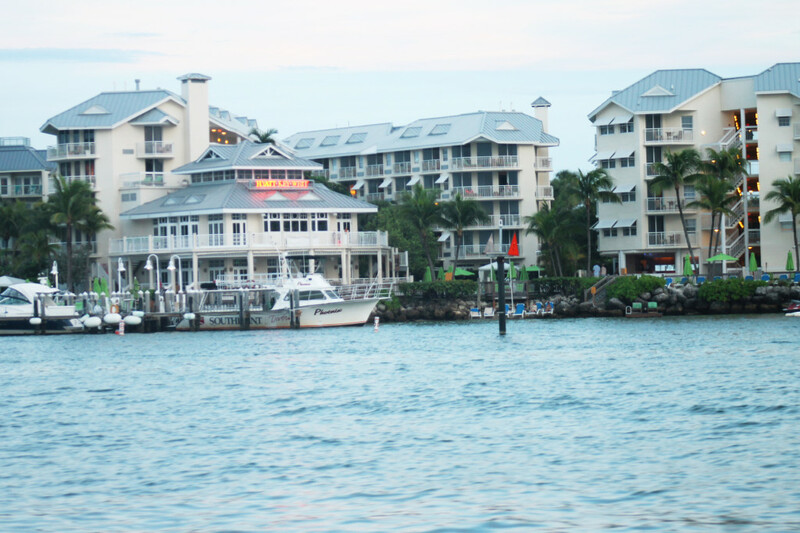 Hyatt Key West Resort and Spa view of hotel from the water. The Hyatt Key West Resort and Spa is the perfect Oceanside retreat for an unforgettable getaway with your loved one. The hotel offers gorgeous views of the Gulf of Mexico and as we found out it’s the ideal destination to unwind and reconnect with your better half. My husband and I had been planning this trip to Key West for a while and where looking forward to spending our days relaxing without the kids. We arrived at the Hyatt Key West Resort and Spa after having walked a couple of blocks with our luggage (which at noon during summer in Key West was not a great idea). Seeing we where obviously hot and tired the front desk staff literally jumped up to assist us offering us water or our choice of champagne or rum punch and hastened to check us in. 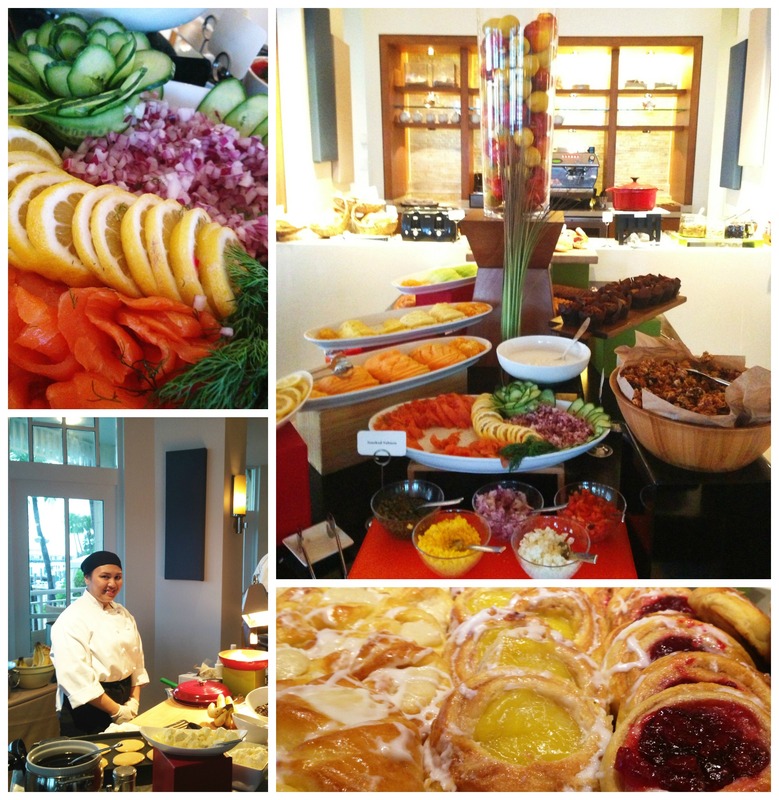 This was just the beginning of a wonderful stay at the Hyatt Key West Resort & Spa. Our room was clean, bright and spacious. I loved the modern décor and the space gave out this laidback island vibe that really got us into the Key West mood from the moment we arrived. The view of the Gulf of Mexico from our private balcony was simply breathtaking. The Blue Mojito Bar and Grill at the Hyatt Key West Resort and Spa has a great view of the Gulf. We went down stairs and enjoyed some drinks and appetizers at the Blue Mojito Bar and Grill and then cooled off with a swim in the warm clear water of the Gulf of Mexico. That afternoon we walked a few blocks to Duval street and then to enjoy the greatest sunset celebration on earth in Mallory Square. 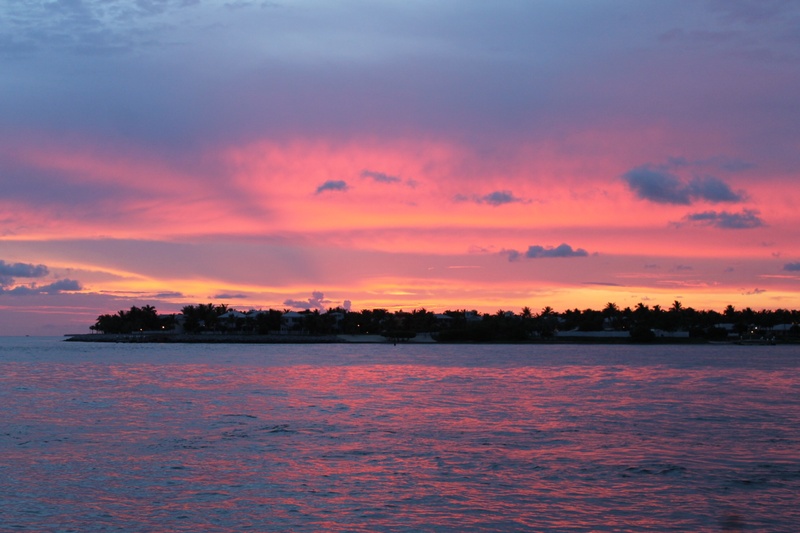 Countless restaurants, shops and attractions like the Key West Aquarium, the Key West Museum of Art and History, the Mel Fisher Maritime Museum and The Audubon House and Tropical Gardens are just a skip and a hop away from the hotel. We had planned to rent bicycles or scooters during our stay but we didn’t need to because everything was so close. The next morning we had breakfast at the SHOR restaurant. The service was outstanding, everyone from hostess to the cooks and the servers was so friendly. I had never seen so many happy people working at a hotel. I’m thinking there must be something in the Key West air! We ate out side watching the boats sail by in the water. The buffet had a great selection and everything was tasted fresh. 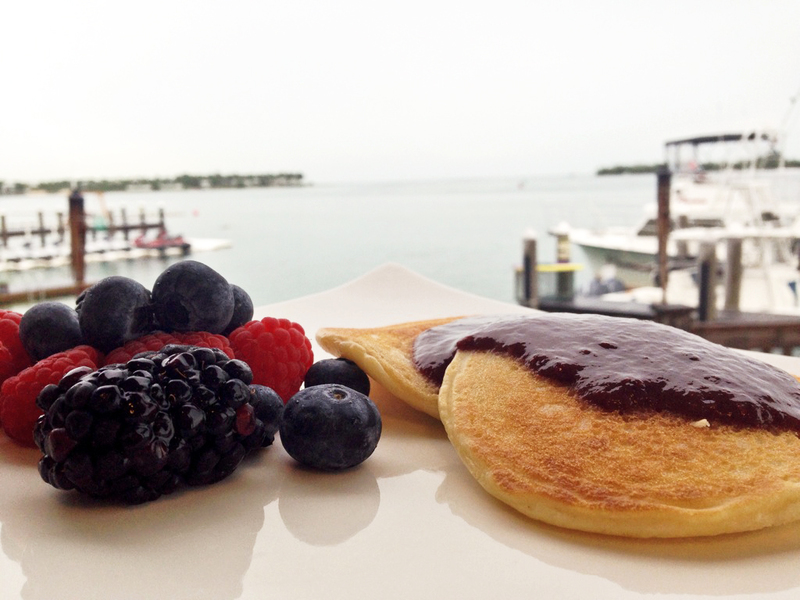 Hyatt Key West Resort and Spa breakfast with a view. Fantastic location with a breathtaking view of the ocean. 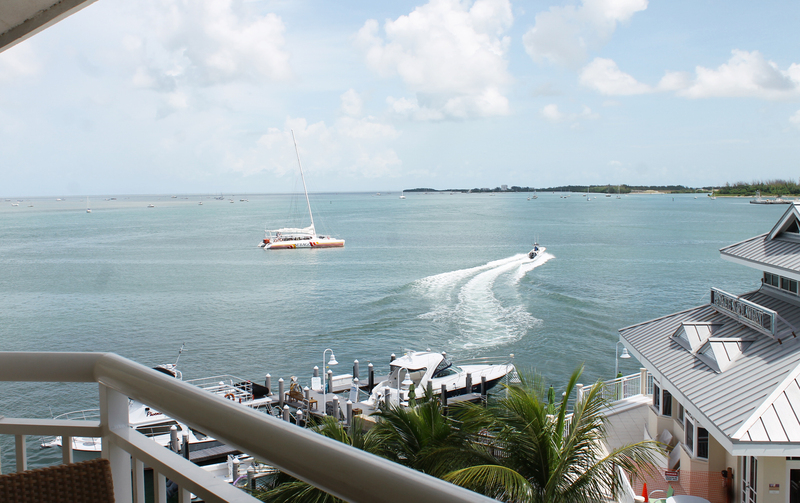 Just a few steps from Mallory Square and the famous Key West sunset celebration. Beautifully decorated rooms are spacious with a modern contemporary laid-back beach vibe. Restaurant and bar on site, both with a great view of the ocean. The service was outstanding and the staff was very friendly. Nice and spacious pool area, perfect to relax and unwind. Great view of the sunset from the bar, the restaurant and even from your room! It doesn’t get better than that! 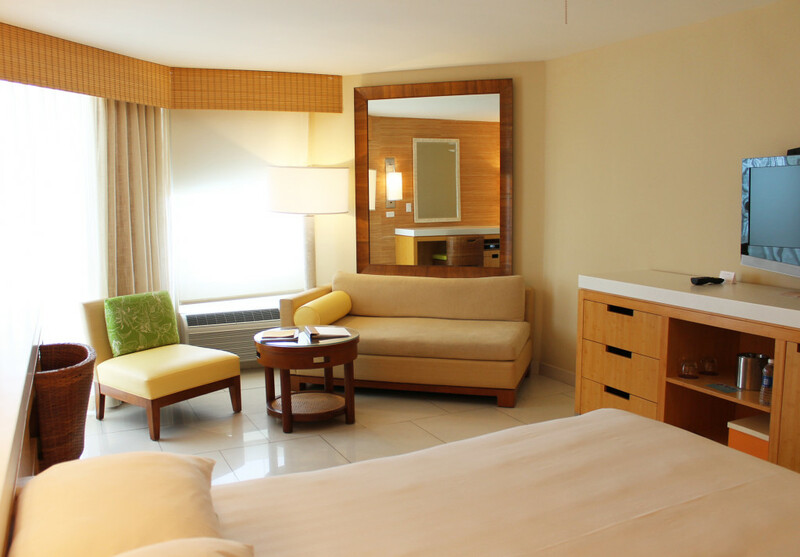 Comfortable beds and relaxing atmosphere. Lots of parking on site, a real plus in Key West! You can enjoy a front row seat to the best sunsets in the world right from your room, from the pool or from the bar. If you are looking for a romantic getaway this hotel with it’s beautiful views of the ocean is a perfect location. Having said that this is a big resort hotel and it will not have the charm or personality of smaller inns or a bed and breakfast. When choosing a room you want to take be able to enjoy the beautiful ocean views so consider getting a room with a gulf front or partial gulf view. Day Out With Thomas Pulling Into the Florida Railroad Museum - Win a 4 Pack of Tickets! Beautiful sunset and views! Too bad I do not live closer. Your amazing images have me packing my bags!!!! Next time lets do a gno and enjoy it together!!! Your images have me packing my bags!!! I’m going to have to stop reading you blog, it makes me want to go on Vacation VERY badly! Guess I’ll need to move to Florida! This place looks SO relaxing! Wow! This was such a beautiful place. I have not been to the Florida keys for more years thanI can remember. This post kicked up my deisre to go several notches. What a beautiful place to relax and unwind. I miss the beach so much and eat some fresh seafood. Stunning views. And you look lovely. Breathtaking indeed, such a wonderful getaway you guys had. Clean and classy hotel. Your description of your stay wants me to stay there too.